In the last few years, a debate has sprung up over whether ISAs or pensions are better for retirement savings. While you can’t get instant access to cash and enjoy protection from the government’s taxes with a pension, there are numerous other benefits of pension schemes. And while ISAs are a great way to save money long-term, they do come with drawbacks. So what is better? Pensions or ISAs? Up until a few years ago, the final salary pension was commonly used in the British workplace. Millions of people had peace of mind that they would retire in comfort, often with two-thirds of their final income. This, in some ways, has come to an end. Now, just 21 percent of schemes are open to new members in the private sector. This is compared to 88 percent only a decade ago. These are also close to around 17 percent of existing members. The decline is likely due to the fact that they mostly depend on how much you make and how fast you save, but there are some benefits you can currently cash in on. When you use a pension to draw out money, you will be taxed like it is an income. A benefit of this is that you will likely be making less, which means you will be taxed at the basic rate. 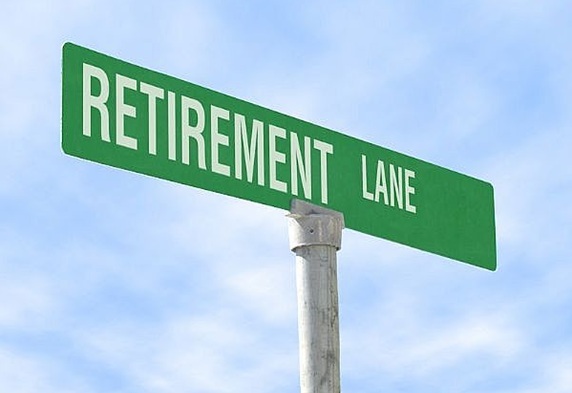 This tax release is beneficial to anyone with a retirement pension. Typically you can take up to 25 percent of the amount you have saved in your pension as a tax-free lump sum. Pensions also have high contribution limits. 100 percent of earnings are subject to a lifetime allowance of £1.5 million. There are also employee benefits. According to specialists at the site MoneyPug, which is used to compare pensions, most employers will match your pension contributions, which, in the long-run, is like getting a pay raise. It may also save you on insurance as well, avoiding National Insurance of 11 percent on your salary sacrifice. This is not possible with an ISA. Pensions come with a few drawbacks. They are not accessible until age 55, and you will have to purchase an annuity to access your money. This is like an insurance product that pays a set income for the rest of your life. You also don’t have immediate access to your cash. Pensions are complicated, which turns a lot of average savers off. The government has also tinkered with pensions, which makes them feel insecure. There are two types of ISAs: cash, like a savings account, as well as stock and shares. Choosing your ISA is also a component of whether or not it’s better for you than a pension. But the thing people love most about ISAs is that you have instant access to your funds. You can get your money whenever you want with both types. Fixed-rate ISAs, however, will tie up money for a few years. Like pensions, ISAs are great for avoiding taxes. Investing in a cash ISA, you won’t be taxed as it grows. There is also no need to pay Capital Gains Tax (CGT). All you will need to pay is the dividend tax of 10 percent, making ISAs a great low-tax option. Unlike pensions, there is no tax-back incentive. This means that savings growth isn’t as powerful and that pensions will always have bigger funds for the same contribution. In addition, ISAs have savings limits. You are only allowed to pay a maximum of £10,680 into ISAs each year. There are also no employer contributions, meaning they can’t match how much you pay into like they do in pensions. Basically, all of this means that if you are under 55, or if your employer will match your contributions, it may be better for you to get a pension. However, if you want to start testing your means and saving early, you can enjoy tax breaks and access to your cash with an ISA. Both have their benefits and flaws. It is best to do your research in order to know which method will be better for you in the long-run. It all depends on when you start saving, how much you are able to save, and how much taxes will be taken out. « Should You Get a Gold IRA? This is nice post for comparison between IAS and pensions in UK and having right article to see you here and thanks a lot for sharing with us.